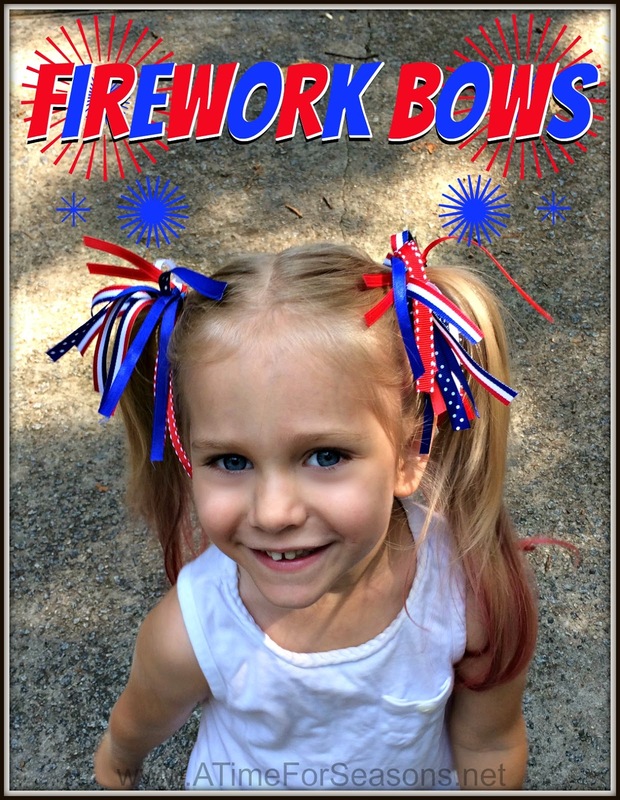 Help your little one look super cute this 4th of July with this patriotic firework hair bow tutorial. 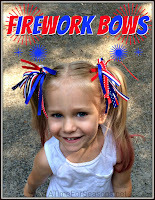 While browsing my favorite site, Pinterest, I found a cute 4th of July hair bow idea here. 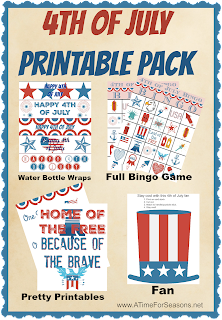 I decided to make my own with a few changes to make them even easier. 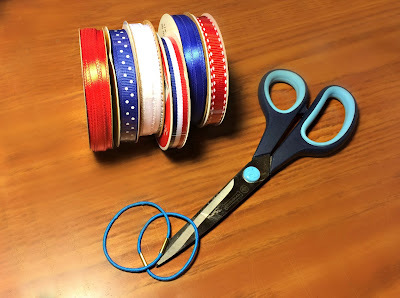 My hair bow tutorial below can be used for any season / color, not just for 4th of July. 1. 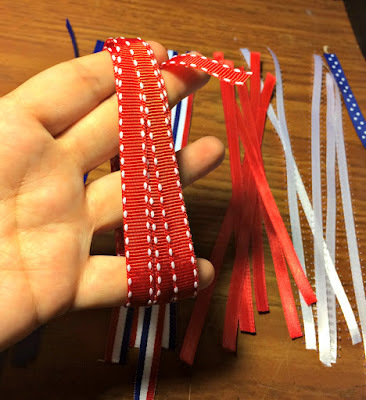 Cut your ribbon into ~7" strips. 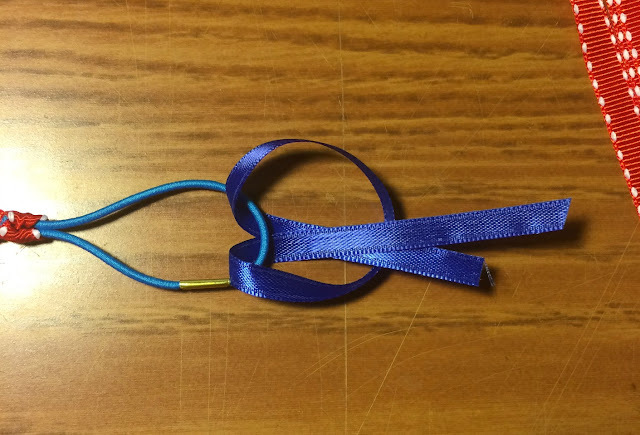 The quick way to do this is to wrap the ribbon around your spread fingers, then cut ONE side of the loop. 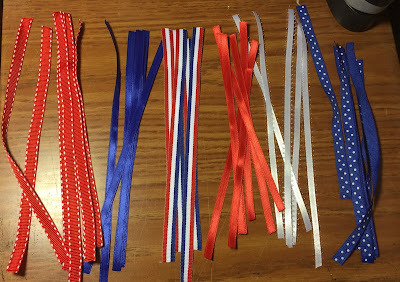 Contenue untill you have ~20 ribbons. 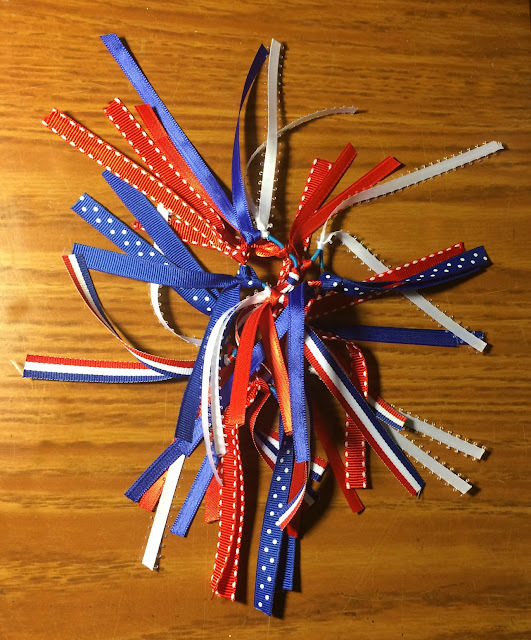 4.Keep attaching ribbons till each hair tie is full. 5. 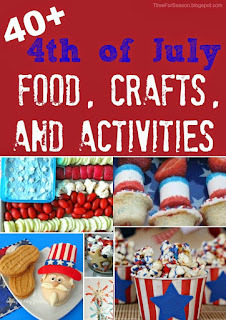 Pull up in pigtails and have fun!! The hardest part of this hair bow tutorial was getting Little Lady to hold still while I fixed her hair: a daily struggle. 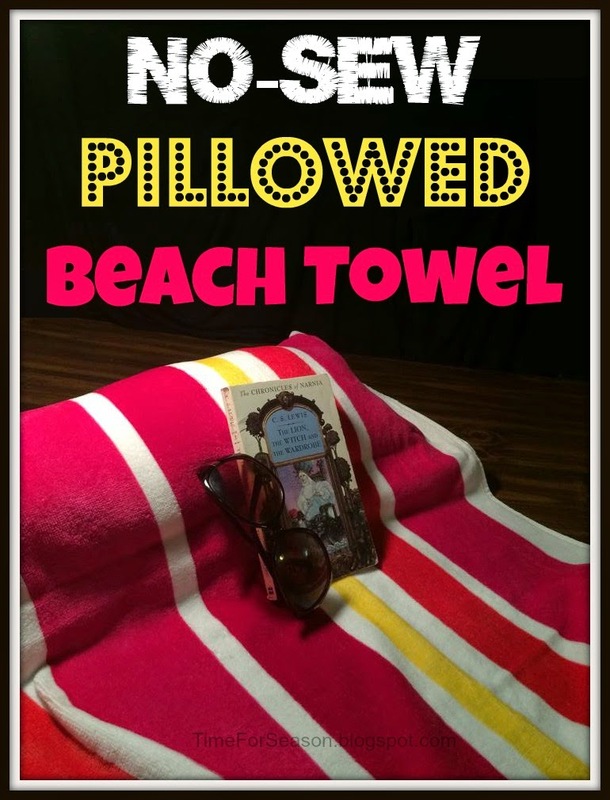 (BTW, if you have any tips for that, please share!!) 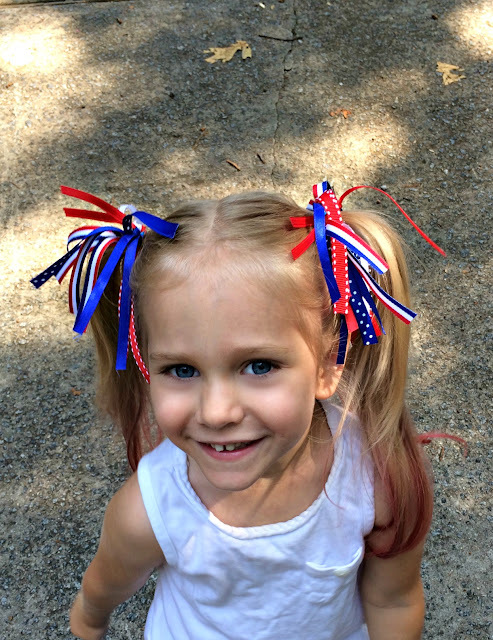 She loves her new hair bows and I think they are absolutly cute! It took me less than 30 min to make both hair bows.